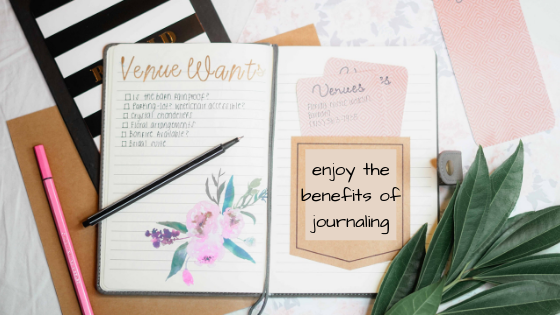 Journaling has gained popularity again in the last few years and for good reason. The benefits of regular journaling are seemingly endless. We found the following info in the Journal of Nursing Education and Practice (2017, Vol.7, No.2 where they wanted to determine the effect of journaling on compassion satisfaction and burnout, trauma/ compassion fatigue in registered nurses. Spoiler alert (but no surprises) they found that journaling had a very positive effect on the nurses. 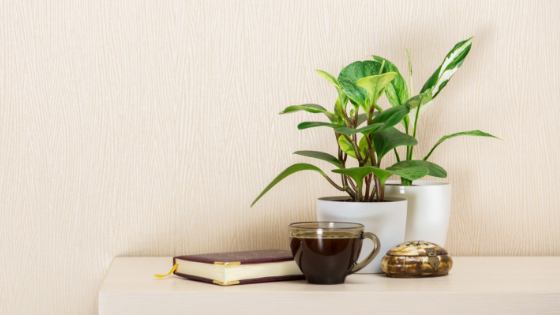 We loved the opening line of the study, “Writing and wellness are natural allies”. Ease your mental load and put it down on paper, doodle, and draw, express yourself in any way that you wish. 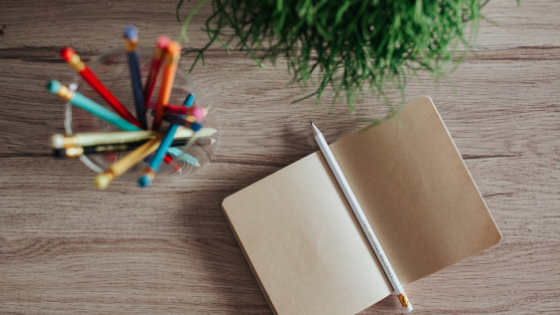 You don’t need to exclusively stick to writing, add clippings from magazines or newspapers, photographs, use various colours to write and draw with. Keep it as messy or as neat as you like. Just try these five easy steps. You’ll be writing! W – What do you want to write about? What’s going on? How do you feel? What are you thinking about? What do you want? Name it. I – Investigate your thoughts and feelings. Start writing and keep writing. Follow the pen/keyboard. If you get stuck or run out of juice, close your eyes and re-center yourself. Re-read what you’ve already written and continue writing. T – Time yourself. Write for 5-15 minutes. Write the start time and the projected end time at the top of the page. If you have an alarm/timer on your PDA or cell phone, set it. E – Exit smart by re-reading what you’ve written and reflecting on it in a sentence or two: “As I read this, I notice—” or “I’m aware of—” or “I feel—”. Note any action steps to take. In summary…. it’s easy to W.R.I.T.E. ! Journaling increases mindfulness, eases stress (and stress triggers), and boosts memory and communication skills. Some studies have even shown that those that journal sleep better, have more self-confidence and higher I.Q’s! Some people enjoy journaling daily, first thing in the morning, last thing in the evening, when they remember or when the urge strikes. Try and make it habit but don’t be too hard on yourself or turn it into a chore as you will be less likely to stick with it. Why not give it a try this weekend?